In June 2018 I already reported about the new Suunto 9 Baro: a sport and outdoor smart watch in which an accurate heart rate measurement on the wrist, a precise GPS and a long battery time are combined. And now a new top model has been added and three cheaper models. Read more! The Suunto 9 Baro Titanium with a precious metal bezel is the top model and the Suunto 9 Black, the Suunto 9 White and the Suunto 9 Lime are so-called entry-level models in the 9-series. The Suunto 9 Baro Titanium with a precious metal bezel is the top model. When developing the Suunto 9 Baro series, the Finnish manufacturer of sports and outdoor watches listened carefully to athletes and outdoor athletes. Most heard complaint: ‘battery time’. If a watch stops during training and the performance is not saved anymore, that training has not actually taken place for a sporter. After all, don’t we want to share that training with friends? Nowadays, thanks to social media, this is a major part of the achievement. Suunto has done something new with the battery. The watch teaches itself your training pattern and can therefore make a prediction whether you can still achieve the next training with the battery charge. 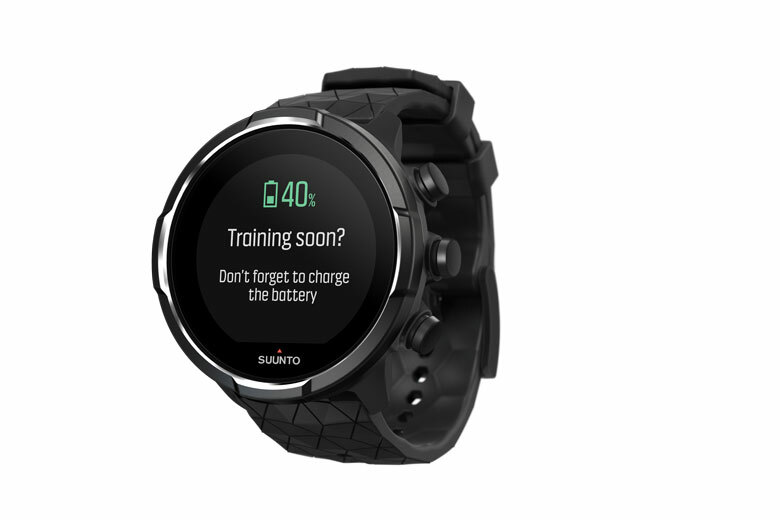 If you train a lot of short training sessions, the Suunto 9 Baro will give the signal later than when you also have long endurance training sessions in between. 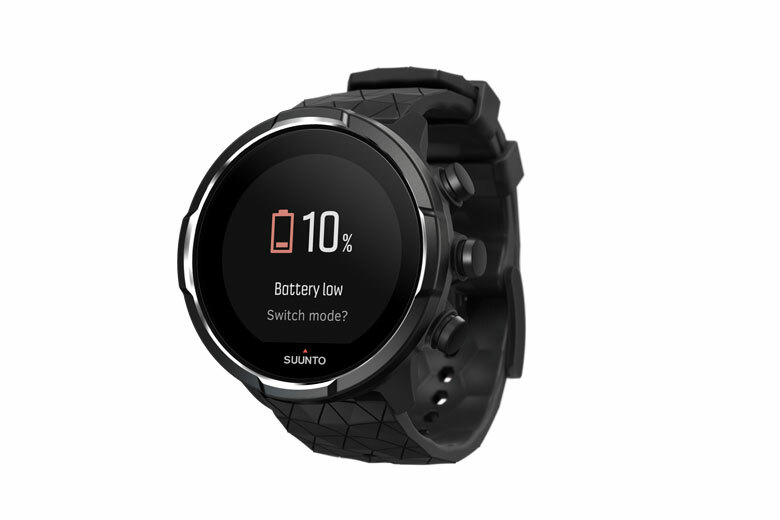 And if you forget to charge the watch once, then the Suunto 9 Baro comes up with a proposal to change the settings during training and to save the battery. With these settings you will reach the end of the training. The Suunto 9-series is all about battery-management. And Suunto 9 Baro Titanium tells you when it is time to charge!. The Suunto 9 Baro has four battery modes: Performance, Endurance, Ultra and Custom. They respectively promise 25 hours, 50 hours, 120 hours and 42 hours of battery time. It goes without saying that in Perfomance mode most data is stored and the accuracy of the GPS is highest. And with 25 hours you can still have a nice training schedule. The different battery modes are also sport specific. You can choose from no less than 80 sports. With the Custom setting you can set all parameters according to your own insight. 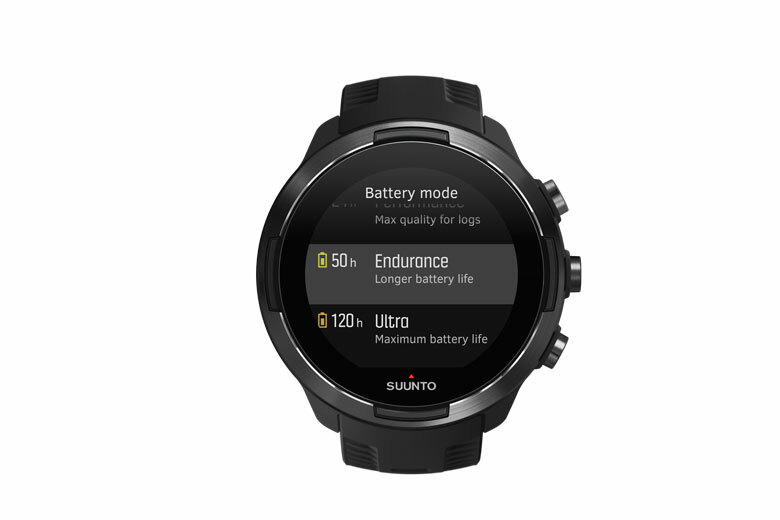 The Suunto 9 Baro has four battery modes: Performance, Endurance, Ultra and Custom. The heart rate measurement of the Suunto 9 series is done by a number of optical sensors on the bottem of the cabinet. Suunto designed the cabinet so that it feels completely smooth. This makes the watch comfortable to wear. By combining the Suunto 9 Baro with an optional heart rate belt, you can switch off the heart rate measurement of the watch itself, so that the sports watch uses its energy even more sparingly. The heart rate measurement of the Suunto 9 series is done by a number of optical sensors on the bottem of the cabinet. The Suunto 9 Baro Titanium measures your heartbeat for sure! The GPS is the largest energy consumer in an outdoor smartwatch. 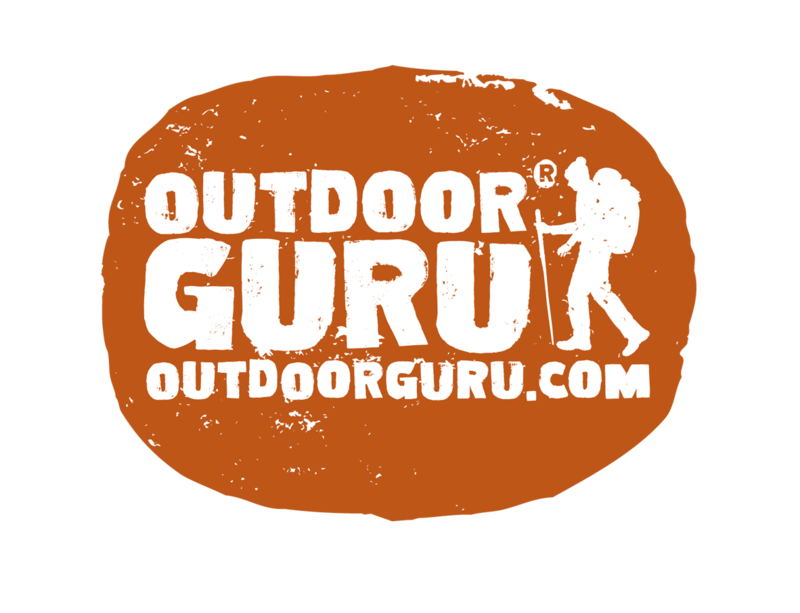 The more often the GPS saves a point, the more intensively the battery is used. By lowering the logging interval you save energy, but your log becomes more inaccurate. 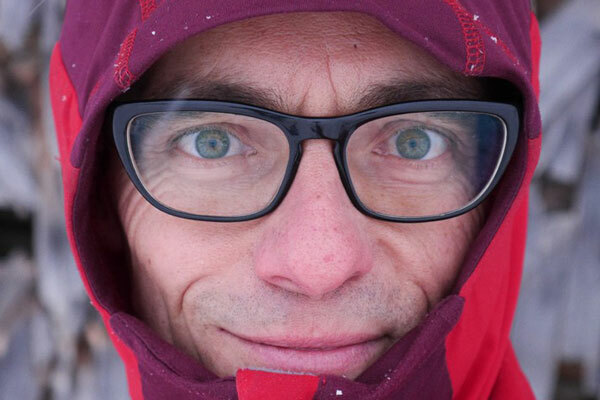 To make your log more accurate, Suunto has come up with Fusedtrack. With Fusedtrack, the Suunto uses the paths on geographical maps and your log and overlaps them. Visually it seems as if you are walking the path while the GPS is economical with energy. 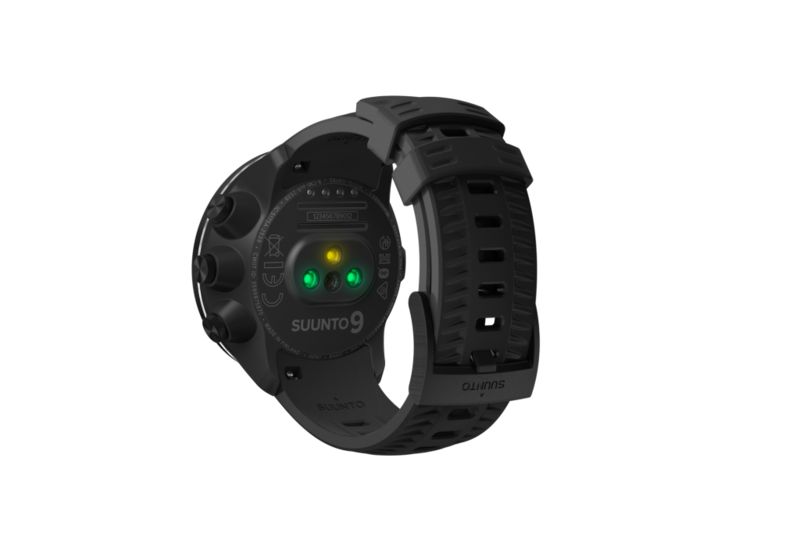 Under the names Suunto 9 Black, Suunto 9 White and Suunto 9 Lime, the Finns also came up with a slightly stripped down version of the 9. The series without Baro in the name is supplied without a barometer on board. The height where you are is exclusively determined by the GPS. 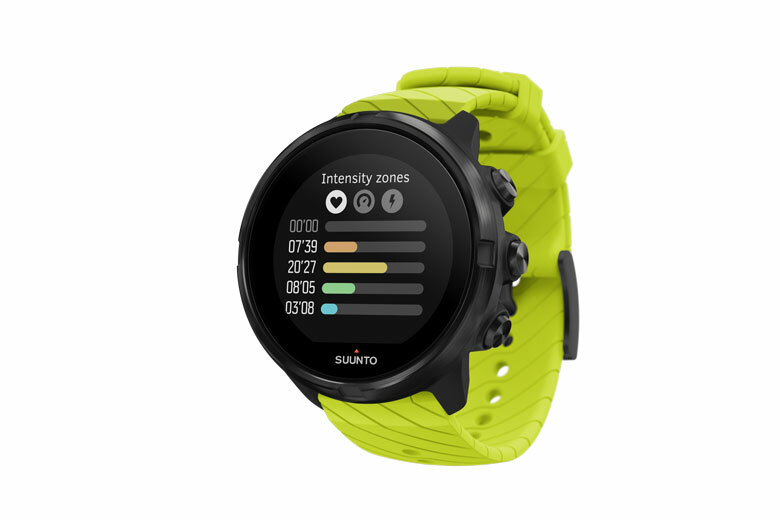 The Suunto 9 Lime is without barometer. The Suunto 9 White is together with the Lime and the Black the cheaper one. The Suunto 9 Black is without barometer measures attitude with gps. Suunto made the Suunto 9 Baro – as expected- also a complete outdoor watch. As the name suggests, he has a barometer that also controls the altimeter. A compass is also present and the watch displays sun times and various weather functions. 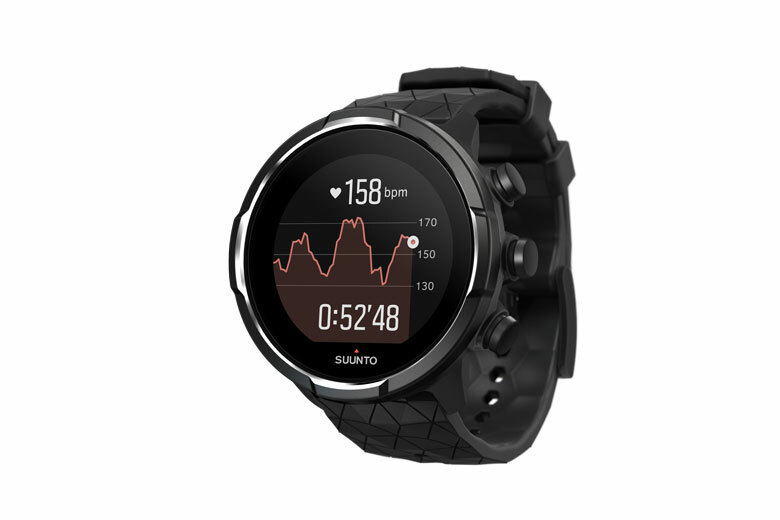 The watch also has full connectivity with Android and OS smartphones and works together with the Suunto app, Strava, TrainingPeaks, MapMyFitness and Suunto Movescount. The watch is water resistant to 100 meters below the water surface. 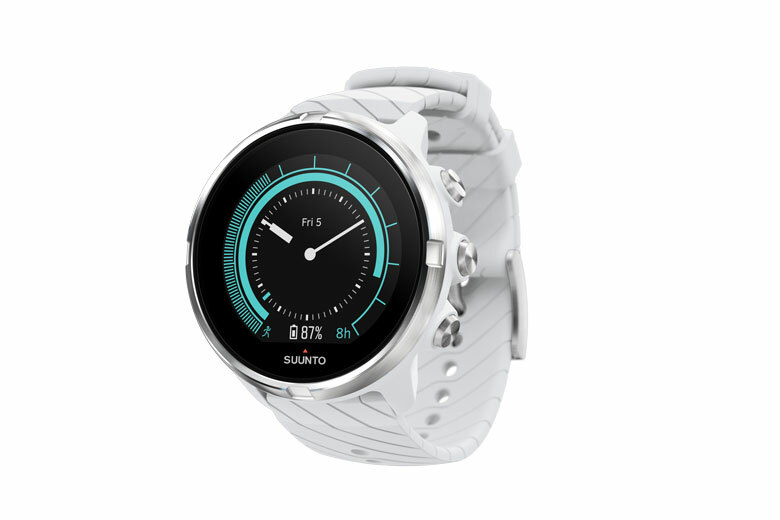 The Suunto 9 Baro is 15.8 mm thick, has a diameter of 50 mm, weighs 76 grams and costs € 599. The ultimate Suunto 9 Baro Titanium costs € 699. The 9 Baro HR with separate extra heart rate belt is sold for € 649. 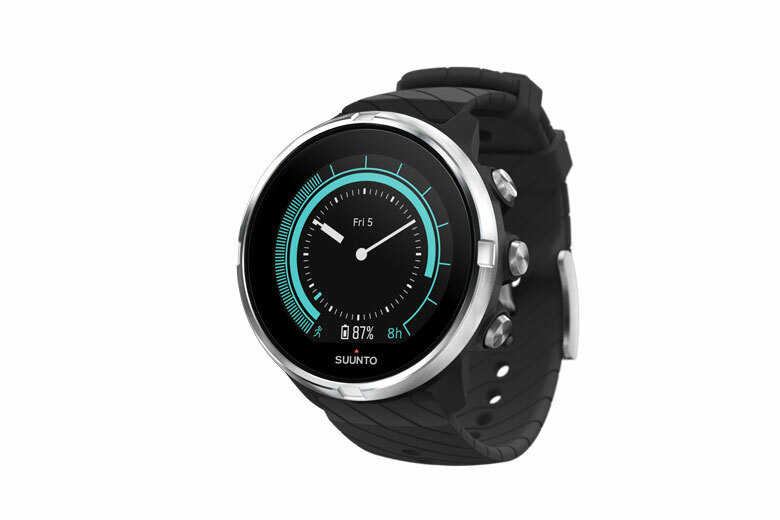 There are also cheaper versions: The Suunto 9 Black and Suunto 9 White cost € 499. However, these have, as stated, no barometer on board.